Flipbook software creates embeddable flipbooks for websites by converting files (such as PDFs) into HTML5. Users can upload preselected images through a PDF or presentation file and convert it into an automatic or interactable image scroll for a website. Some flipbook software is capable of creating full digital publications that simulate physical books with page turn animations. Flipbooks are a visually appealing addition to any website that can showcase a business’ products, goals, and achievements. Flipbooks are often made by creative teams or web designers, but most offerings are intuitive enough for newcomers to pick up with little explanation. Some desktop publishing software will offer flipbook creation as an additional feature within their offering, but many flipbook products are offered standalone. 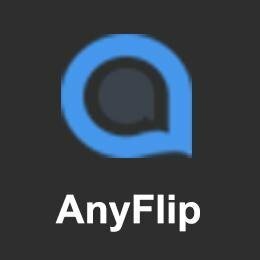 Flipbook reviews by real, verified users. Find unbiased ratings on user satisfaction, features, and price based on the most reviews available anywhere. FlippingBook Publisher is a desktop software for turning PDFs into online marketing and sales documents - brochures, reports, catalogs, e-books. Everything you show to your clients and share with them online. This is how we help: HTML5 viewer Thanks to HTML5, your documents open in all desktop browsers, on iOS and Android mobile devices. Your clients can view them instantly, without downloading anything or installing special viewers. Online hosting Unlike PDFs, FlippingBook publications are hosted online — in our cloud or on your server. They work like websites do: when you need to email your documents or share them on social media, you can simply send a link. Embedding to website Once your document is online, you can embed it right into your website to draw more attention to it. Don’t force your clients to look for important documents, show them seamlessly where it makes sense. Interactivity Our publications support YouTube and Vimeo videos and links. For better navigation, you can add an interactive table of contents and thumbnails to your document. *** We make regular software updates with new features every 3-4 months. When a new mobile device or a big browser update comes out, we make our publications compatible with them in a matter of 2 weeks. If you have any questions or need assistance, you can chat with us, call or email us 24 hours, 6 days a week except Sunday. Flipsnack is a cloud-based publishing tool that allows you to create and upload many different types of publications. You can create your own catalogs, magazines, brochures, flyers, reports, and lookbooks using the very inclusive editor tool, or upload your own PDF file using the PDF converter. You can download your work as a PDF, PNG, JPEG, Video, GIF and even HTML5 flipbooks. Engage with your audience in a memorable way by adding interactive elements such as links, videos, and shop buttons straight into your flipbook and publish it as public or private. Lucidpress is a design & brand templating platform that empowers non-designers in your company to create and distribute marketing collateral all on their own (without going off brand). Lockable templates protect your brand while allowing colleagues to make small design tweaks and customizations, easing the workload off your creative team. Say goodbye to rogue branding forever with Lucidpress --the brand templating platform trusted by over 6 million users worldwide. Flipbuilder provides a quick and easy way to batch convert ordinary PDF files into stunning booklets with amazing page flip animations and sound. You can publish it to the web, send via email, and even distribute it on Mobile, Mac or CD-ROM, all without paying royalties. Page Flip Book Maker is an easy to use yet powerful page flipping book software (100% free) that allows create your own professional and gorgeous page flip book, christmas flipbook, 3d flipping book, birthday flash flip book, kid flip book, wedding flip book, flipping book album, With Page Flip Book Maker, you do not need any flash programming skills, only import your text book, and then choose the theme templates from a variety of preset Page Flip Book Maker , then final publish. PUB HTML5 is a digital publishing platform to publish interactive magazines, catalogs, and brochures. Easily create and share stunning HTML5 flip books on your Mac or Windows. 1stFlip Flipbook Creator is professional digital flip book software for you to convert PDF to Flash/HTML5 page flip digital publications, including magazine, catalog, brochure, eBook, etc. 1stFlip Flipbook Creator is professional html5 flipbook maker to create digital interactive flipbook, magazines, catalogs, brochures, eBooks, newsletters with realistic page turning effects. HTML5 Flip Book Maker also allows you to edit digital flip books with rich-media. Publish online/offline flipbooks easily. View HTML5 flip book on any computer or mobile device (iPhone, iPad, Android devices). Convert your static PDFs into interactive digital Flipbooks in seconds without any coding. 3D Issue gives you complete control over the look and feel of your digital publications, there are many different layout	options and interactive features available such as videos, image galleries, and much more. 3D PageFlip Standard is a useful flash flipbook software to transform Adobe Acrobat PDFs, OpenOffice, Microsoft Office Word, PowerPoint, and Excel files into realistic flipbooks. With this flash flipbook software, you can create amazing 3D magazines, catalogs, e-brochures, eBooks or e-newspapers with flipping pages in minutes without any Flash/HTML knowledge or programming skills. You can output your 3D Digital Brochure online or offline quickly for any use. The full-featured page flip software will help to promote your flash flipping book, boost your book's sales or to demonstrate your eBook in realistic, visual 3D animation! This Windows Flash Flipbook Maker Software provides various of built-in templates, scenes for you to design your flipbooks. Customize flipbook background color or background image. Set flipbook logo, language, toolbar icon, font, color, flip page size, etc. Reorder and delete flipping pages or add new flipping page from PDF and images. 5kFlip Windows Flipbook Maker Software provides the easiest way to make digital page-flipping Flash/HTML5 flip books from PDF. To make flipbooks with 5kFlip flip book maker Windows, all you need to do is import PDF files, customize flash flip books with built-in template and scene, logo, background music and background image, bookmark, etc. and then publish PDF to flash/html5 page flipping books easily. Readers can view the flash page flipping e-books with page-flipping effect on any computers, tablets, and mobile phones like iPhone, iPad and Android devices. aXmag offers an online service to turn PDF to page flipping eBook. ePageView is a digital publishing solution that enables users to create customized digital publications. Quickly and easily create unlimited publications with 3D realistic page-flipping effect. Output flipbooks (HTML5) for portable devices like iPhone, iPad or Android devices. Distribute your flipbook online, offline ( email, FTP, CD/DVD, and USB devices. Quickly and easily create unlimited publications with 3D realistic page-flipping effect. Integrate Multimedia objects(video, audio, flash, graphics ...) to flipbook pages. Support make a flipbook with HTML5; Works on most browsers and mobile devices. Generate offline versions for Win (.EXE ) or Mac OS (.APP). FlipHTML5 provides its clients with high quality, user-friendly and cost-effective digital publishing software. FlowPaper Zine is a PDF flipbook viewer tailored to fit magazines, books, catalogs and other high quality print publications where you want to preserve the layout in your publication and provide a realistic and maximized viewing experience for your readers as they flip through your publications. The publishing software splits your PDF document into smaller parts and optimizes your online publication to speed up loading even with very large PDF documents. Transform your print catalogs, magazines, brochures and more into dynamic online flipbooks! iSpring Flip is a hassle-free way to turn your documents into real books with a page turning effect. The books are easy to share and publish on web, and read on mobile devices. Myjad Flipbook Maker provides users a solution of converting batch PDF files into page flipping brochures with a variety of music, sounds and fabulous animations. You will be able to build your own ebook, catalogs, albums, magazines etc. with this easy-to-use program without having to know technical skills of any sorts. The feature rich digital flip book software helps you easily convert PDF/images to stunning Flash&HTML5 flipbooks with a truly immersive page turning experience. Next FlipBook Maker Pro for Windows is a professional HTML5 flipbook software for both professionals and novices to create interactive digital HTML5 flipbooks. PageTurnPro is an online digital publishing solution that uses PDF-to-Flash and PDF-to-HTML software conversion technologies to turn static, print-ready PDF files into digital publications, digital magazines, digital catalogs and more! Paperturn is an online flipbook software that helps you convert your PDFs into beautiful, interactive digital publications; whether that be a digital magazine, a restaurant menu, a sales catalog, a brochure, an employee manual etc. Publitas is an online publishing platformhelping brands publish their catalogsto deliver beautiful shoppable experiences. Helps create free flipbook online. Yumpu offers a digital platform for publishing your magazines, brochures or catalogs. Hi there! Can I help you find the best Flipbook solutions?